Siem Reap is quietly buzzing, much like its heated cicadas, and as with a scorch of sun above Angkor, is soon to make some noise to become one of Asia’s hottest holiday destinations. Where Siem Reap was once merely a stop for water before visiting Angkor, a thriving creative community, coffeeshop scene, and vibrant nightlife is bringing a fresh uniquely Cambodian cosmopolitan cool that is drawing in visitors – not quite like cicadas – but like moths to a flame. People may still be coming for the temples, but they’re staying for so much more. 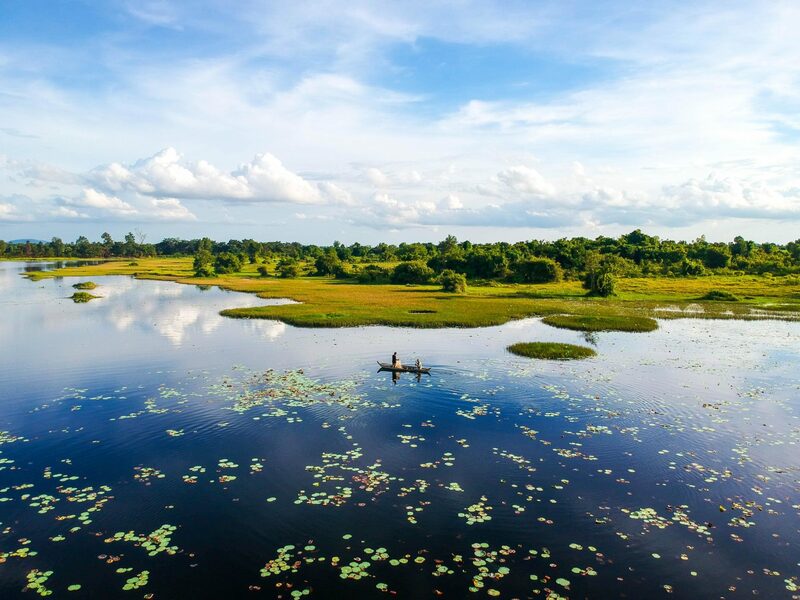 Whether you’re looking to explore the unrestored remains of an architecturally striking Cambodian man-made and natural history, or sample fine Southeast Asian cuisine between temple peaks and palaces, here are some of the reasons you should consider charming Siem Reap your next weekend, week-long or wonderfully spontaneous escape in Southeast Asia. It’s near impossible to visit Siem Reap without seeing the absolutely mesmerising and UNESCO-honoured temples of Angkor. 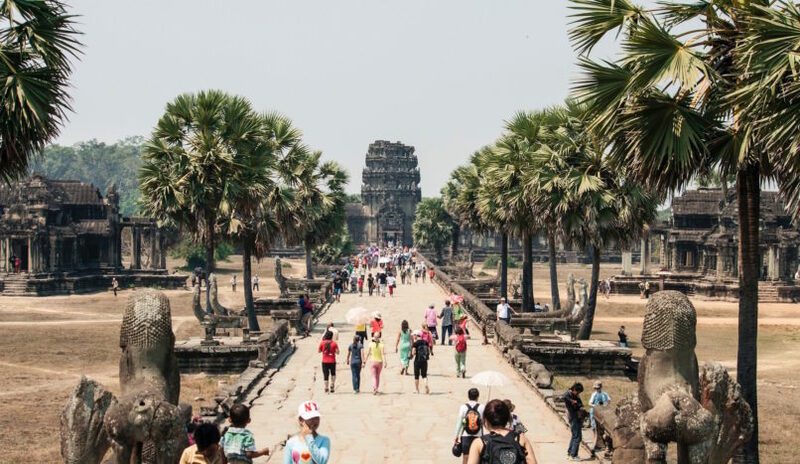 Dating back to the Khmer Empire of between the 9th and 15th centuries, Angkor itself covers an area that is larger than 1000 square kilometres, and requires at least a few days to be able to explore it all. Rise before the sun to see Cambodia’s most famous temple of Angkor Wat at sunrise, before exploring the temple complex and the nearby sites throughout the day. Whilst it may be hot between walkways, take in the scent of the Frangipani trees, finding shade in the temples, and enjoy a picnic between sites. Head to Bayon temple at golden hour for a scenic interplay of warm evening hues, before watching the sunset at Phnom Bakheng. To avoid crowds, do the same route in reverse, and take a bicycle or book a tuk tuk for the day for a swift commute. Feeling adventurous? Book a hot air balloon ride over the Angkor ruins for an unparalleled view of the temple city. Also, movies buffs, definitely go see the Tomb Raider temple at Ta Phrom, too. Once you’ve templed yourself out, there is still a lot of culture and heritage to see in Siem Reap. The Phare Ponleu Selpak school and professional arts training centre in Battambang was founded after young Cambodian men returned home after the fall of the Khmer Rouge, and found the arts to be a powerful tool for healing. Today, the NGO school provides a free arts education to economically and socially challenged Cambodian youth. Graduates perform at the famous Circus Phare, where visitors can watch Cambodian folktales come to life through theatre, music, and dance. If the circus isn’t your thing, go for a traditional shadow puppet show, or watch one of the famous Khmer dance shows at Apsara Terrace. Whilst anyone who has been to Siem Reap will tell you that the city lacks no abundance of cafes (really, a lot of cafes), local Cambodian cuisine has not yet quite reached the peak mainstream like its neighbours of Thailand and Vietnam. And yet, it may just be the region’s best-kept secret. Head away from the tourist-laden city centre’s Pub Street for a more authentic dining experience. 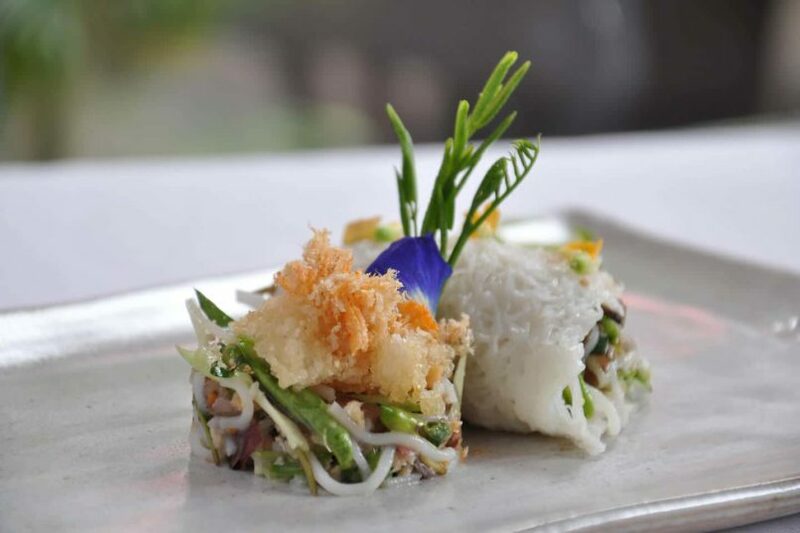 Cuisine Wat Damnak does modern Cambodian food ‘with French sensitivity’, whilst Marum focuses on more traditional dishes, and the two female chef-run Embassy Restaurant brings a true Khmer fine dining experience. For the ultimate treat of the taste buds, head to a Cambodian market, such as the Phsar Chas Old Market or the Angkor Night Market. Here you’ll be able to tuck into anything from Cambodian stir fry beef lok-lak, spring rolls, fish amok curry served in banana leaf, fried banana kebabs, or even fried tarantulas. If you dare, wash it down with Cambodia’s sraa rice wine for a sip with a true kick. As Siem Reap’s art scene is flourishing, the city is seeing an increasing number of concept stores and creative boutiques. Check out Kandal Village along the leafy Hup Guan Street for a series of quirky shops and cafes, where you’ll find Cambodian souvenirs that go beyond the average mug and tee. Trunkh. 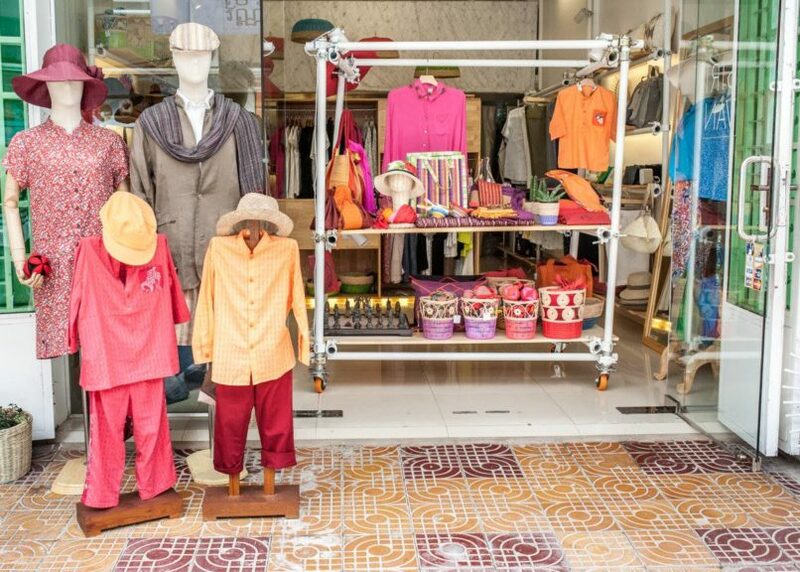 concept store sells everything from cute Mekong Catfish cushions lotus balm and cow bells, whereas Cambodian designer Sirivan Chak Dumas’ Maison Sirivan provides a great spot to pick up light linen, silk or cotton shirts, dresses, and even sun hats. Prefer a bit of bargaining fun? Take a stroll through the Made in Cambodia Market to find locally produced goods and handicrafts, or down Alley West for some of the city’s best sustainable shopping options. Artful items that are high in quality, and creative in inspiration, it’s a shopping experience that is in touch with local artisans and craftsmanship. 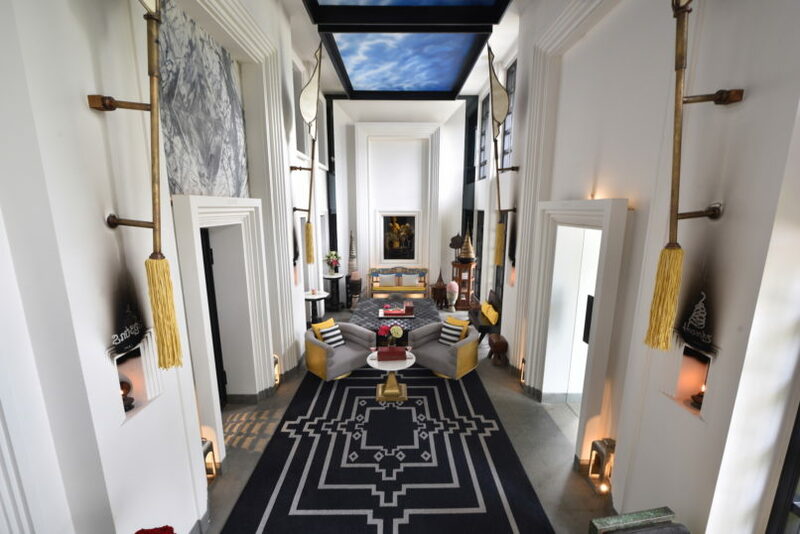 Whilst it is certainly a buzzing city, if you wanted to go to Siem Reap and do absolutely nothing for the weekend, there’s an incredible hotel selection that offers enough for you to never leave the comfort of your room or exclusive villa. The city centre may be more hectic, yet Siem Reap and the road between the town and Angkor provide many beautiful locations to be in touch with nature and with oneself. Many of the well-known luxury hotel chains are present, regardless of whether you’re looking to book a spiritual retreat with Amansara or enjoy a traditional deep tissue Khmer massage at the Anantara Angkor Resort. For the ultimate weekend getaway, unwind in the comfort of your very own private pool villa at the Shinta Mani Bensley Collection, with the option of a sky bed set up on your balcony for the snooze of a lifetime under Siem Reap’s stars. Siem Reap is increasingly balancing its growing visitor numbers through a lens of responsible and sustainable tourism. Many NGOs have set up in the city, partnering across several industries to provide an experience that is not only enjoyable for those who visit, but beneficial to the locals and the local environment, too. After all, nature makes up a big part of the landscape, that goes beyond the chatty food vendors along the river banks, the grand fountains within the Royal Gardens, and the yoga retreats just outside the city. Focused on preservation and an appreciation for the local surroundings, the Song Saa Reserve aims to bring an environmentally and socially conscious form of tourism development. Located adjacent to Banteay Srey Temple, the mixed-use resort is not open yet, but has plans to become a true sustainability-driven integrated resort, covering over 2 square kilometres of land, inclusive of an eco-tourism park. With regeneration and restoration as a central aspect, it’s a modern business model that proves the appeal of Siem Reap for the 21st century in many ways. Even if until recently, its most noted claim to fame was a temple dating back centuries ago.